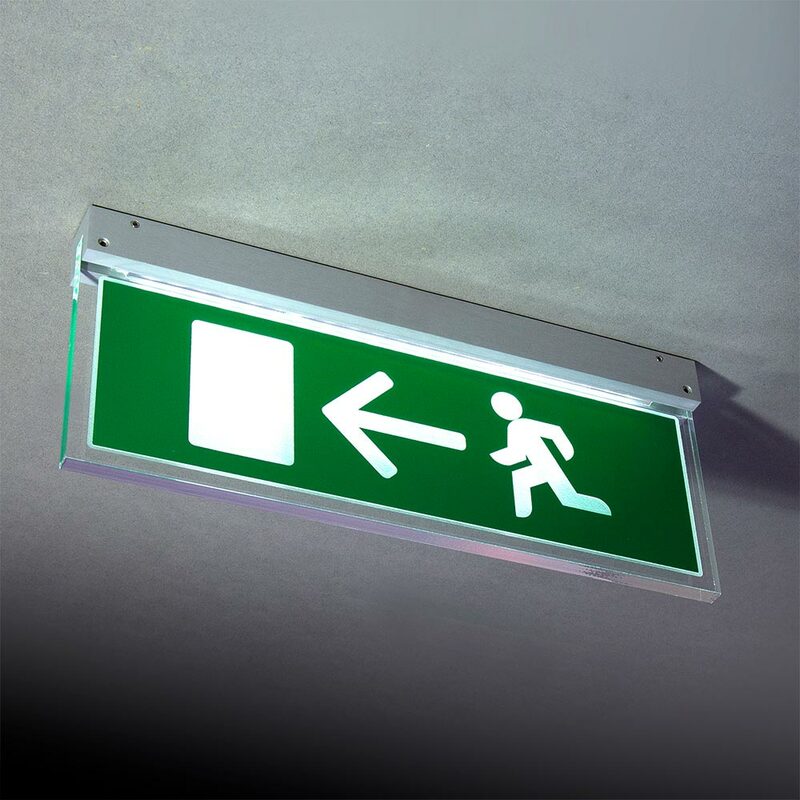 A premium quality wall fixed or ceiling mounted Fire escape sign, designed to clearly identify emergency exits and escape routes, with an empathy for modern architecture. 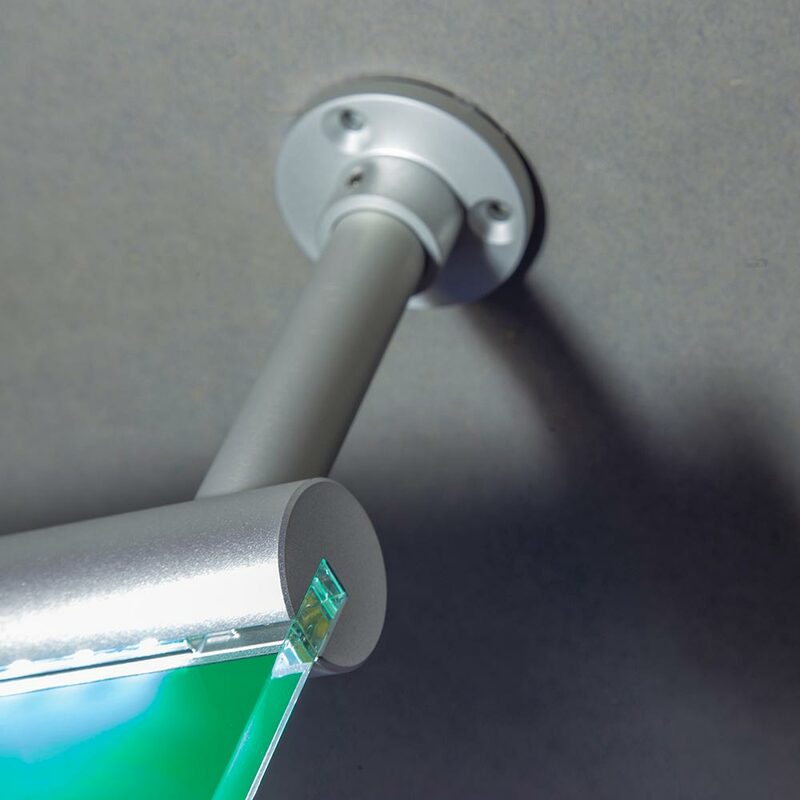 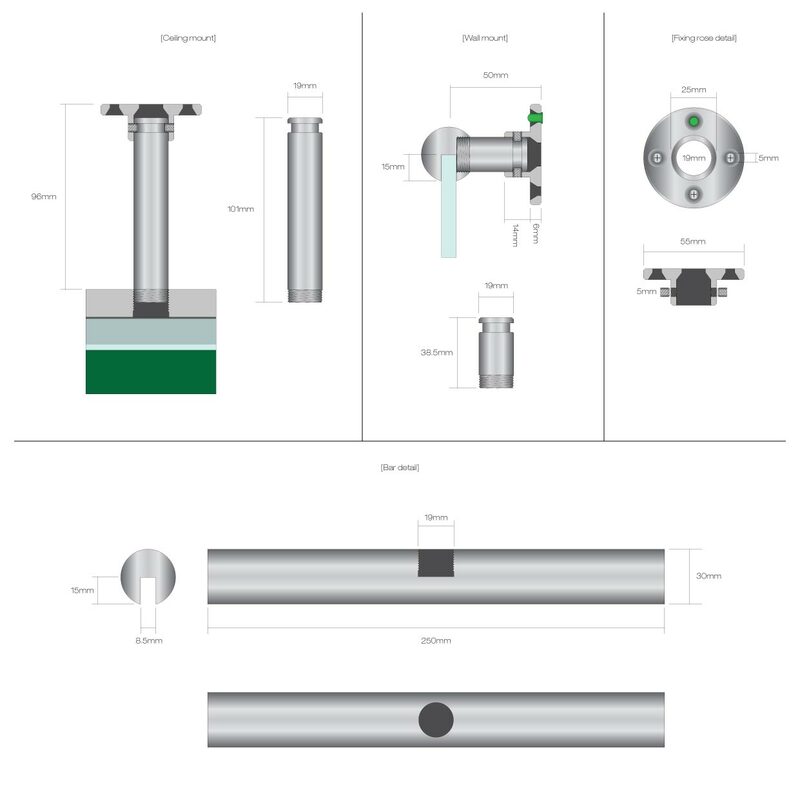 Conforming to ISO standard (soon to be European Norm EN7010), the FE LED Signslot comprises a silver anodised aluminium 30mm diameter wall or ceiling mounted Signslot, with a single support arm (for wall mounted) or 100mm drop rods (for ceiling mounted), illuminating an 8mm thick silica acrylic (glass look) panel with laser engraved and printed graphics. 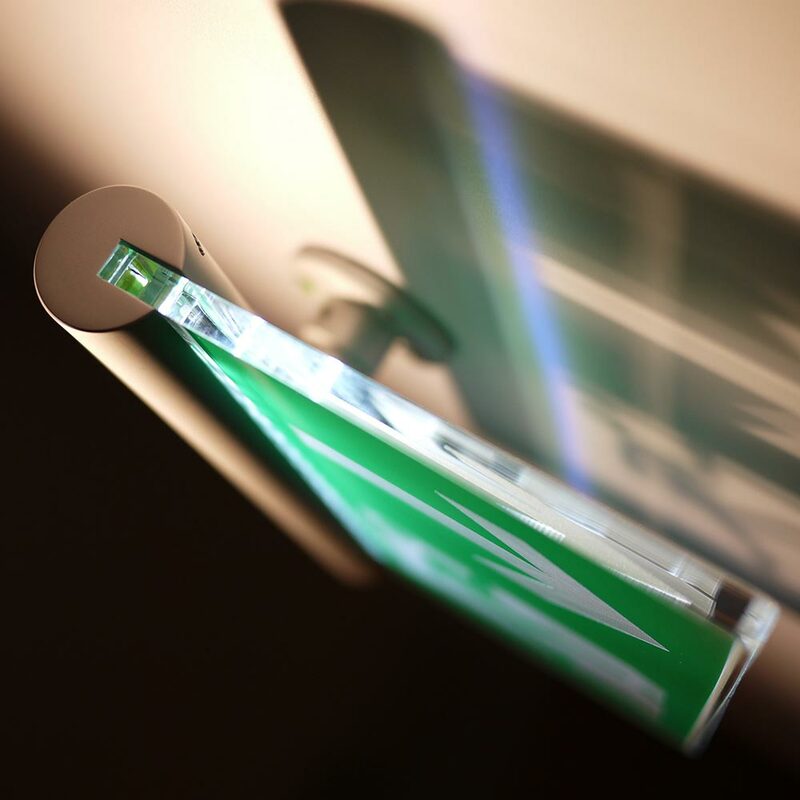 Complete with a minimum 5 hour emergency battery back up and green LED charge indicator. 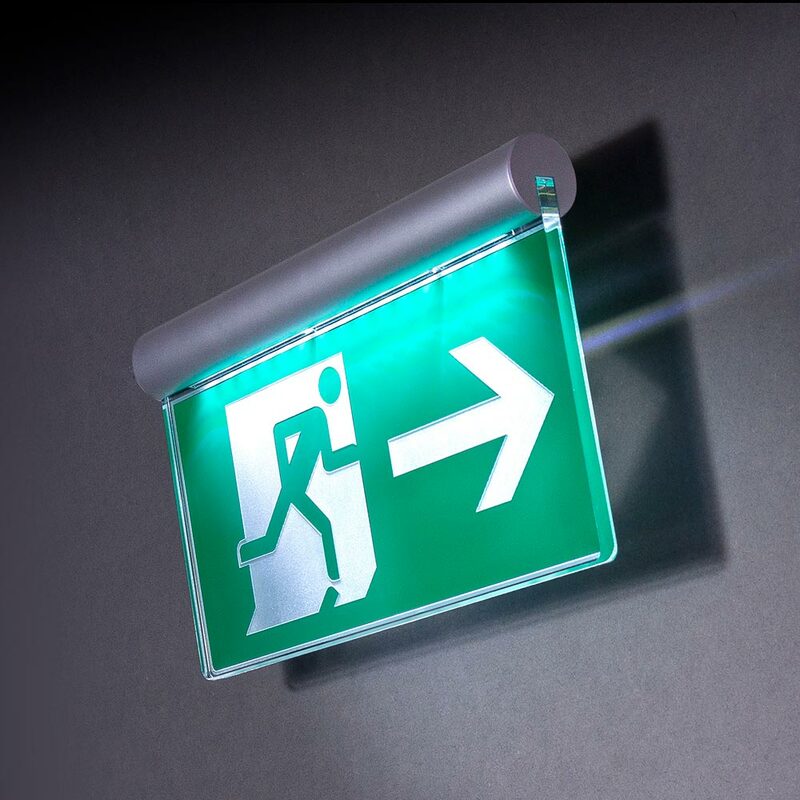 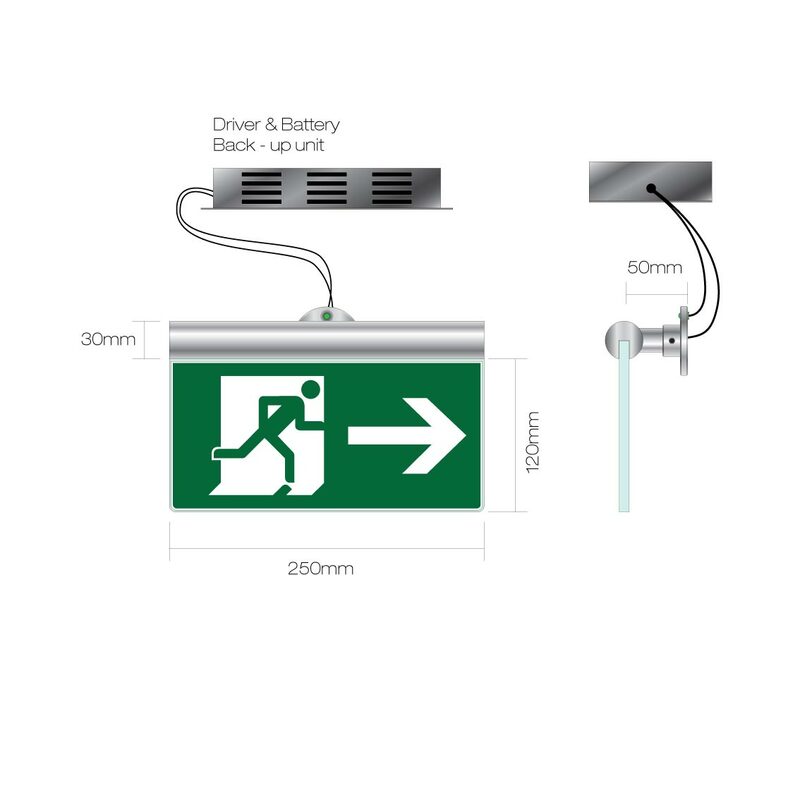 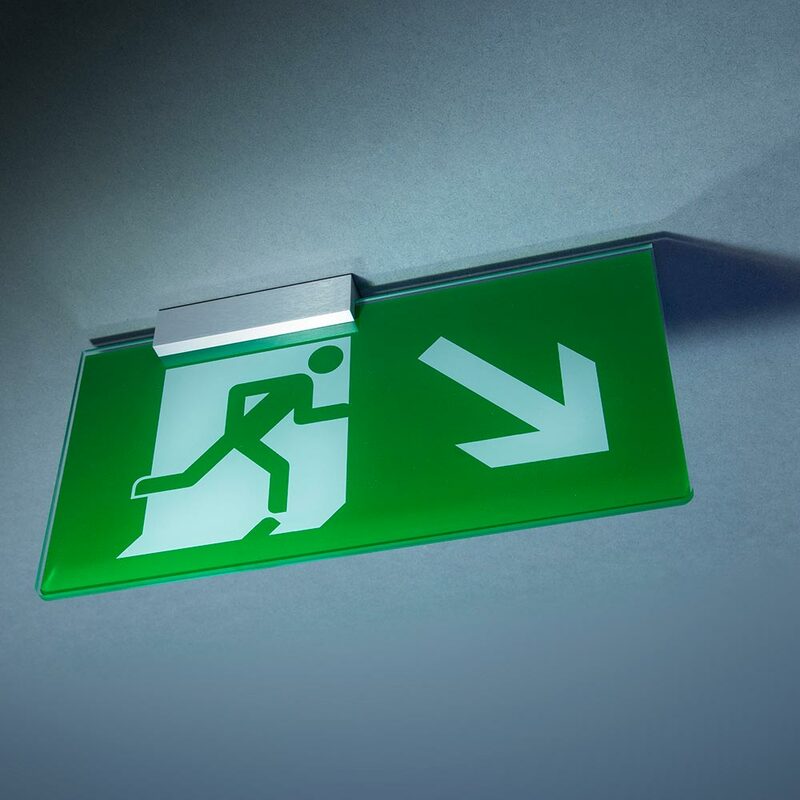 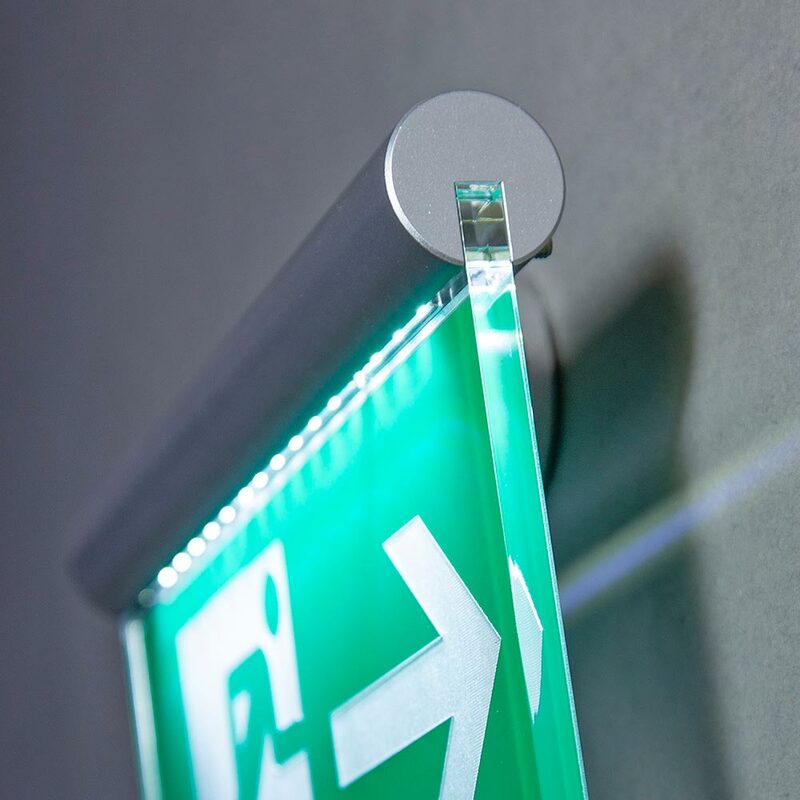 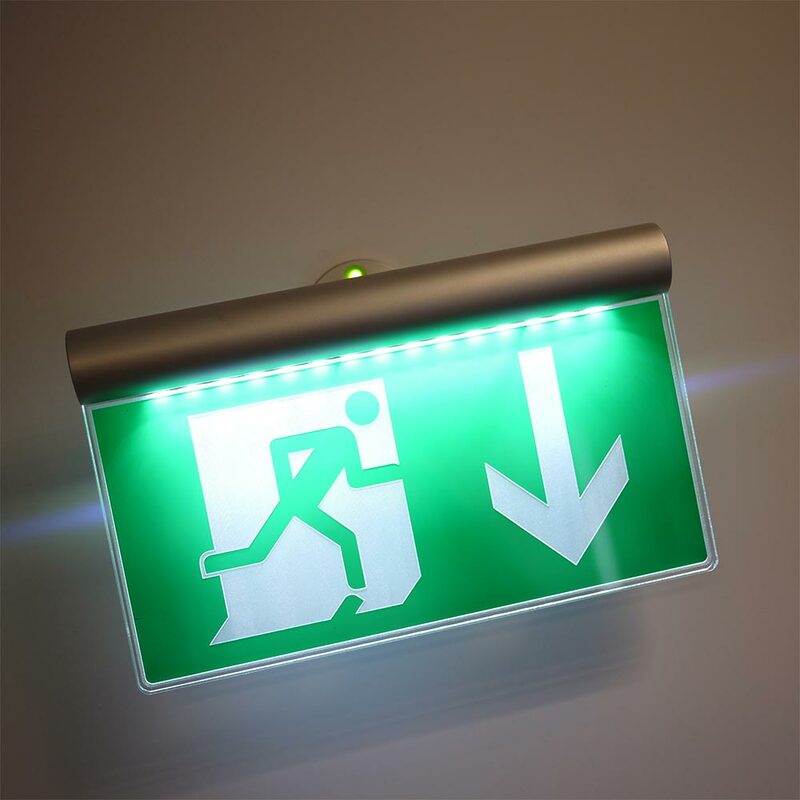 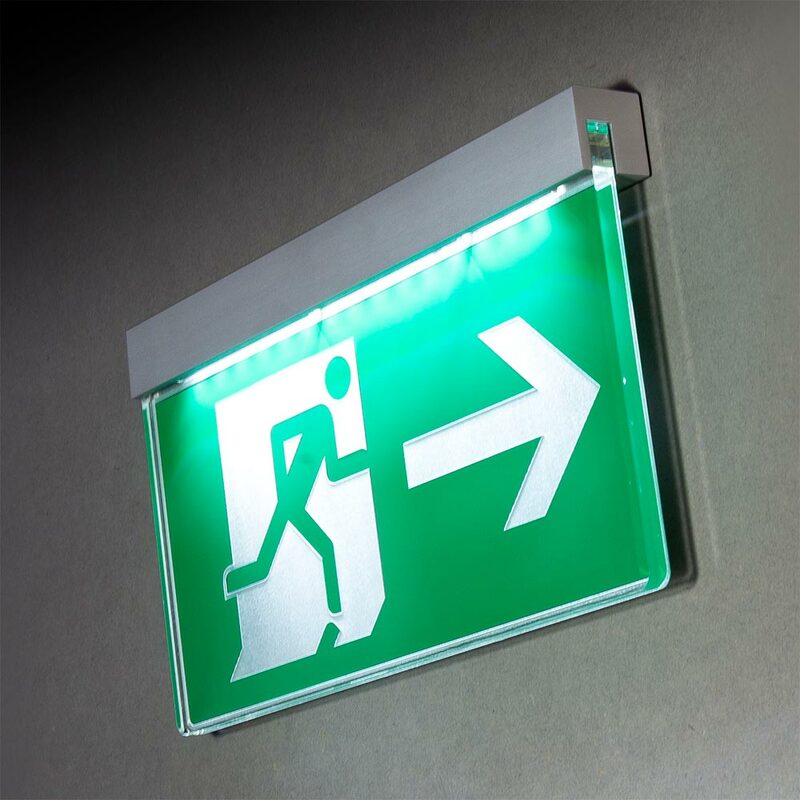 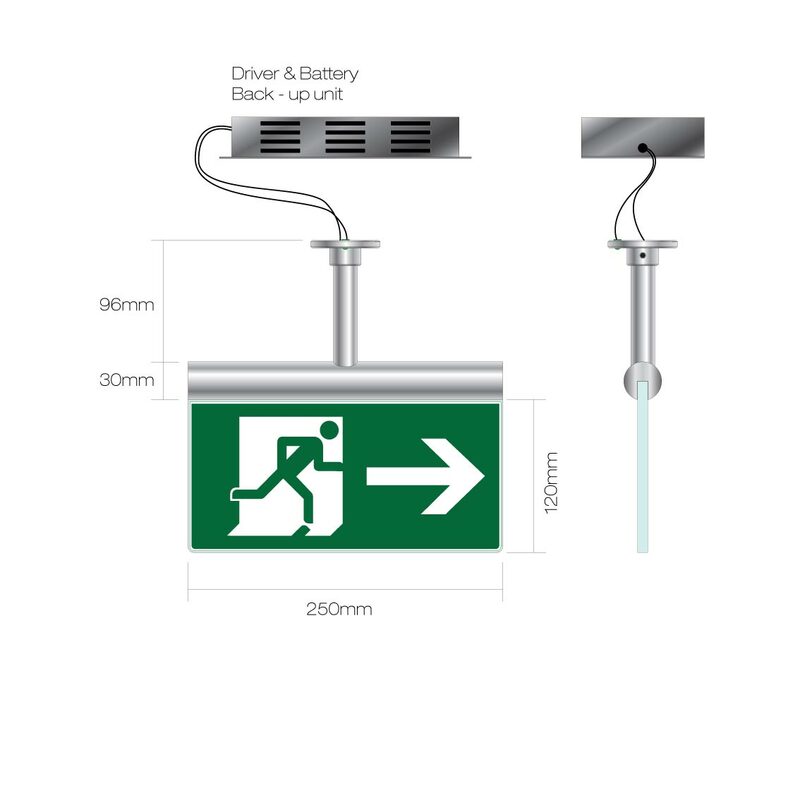 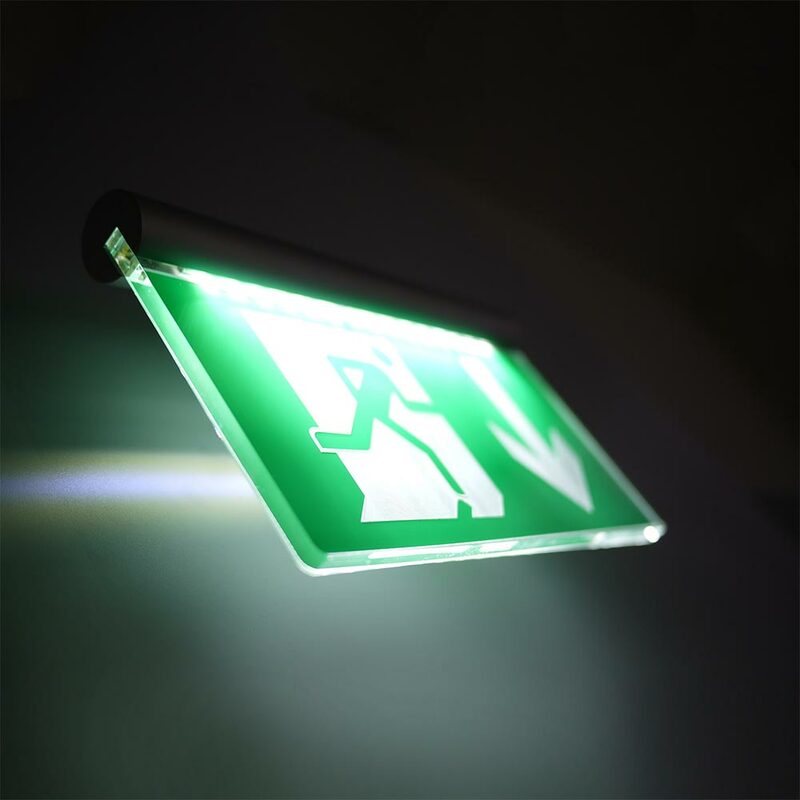 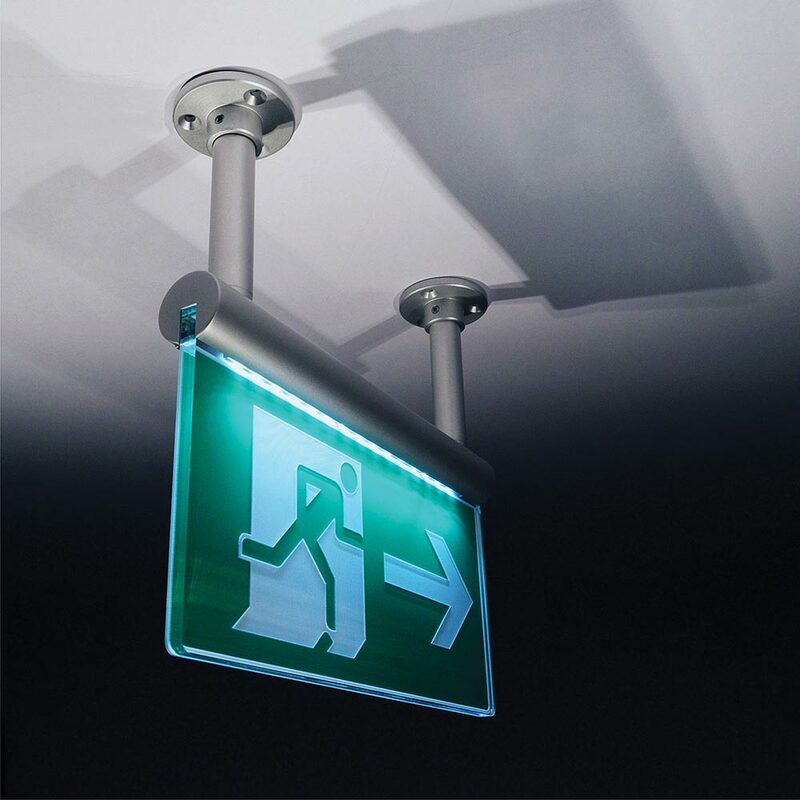 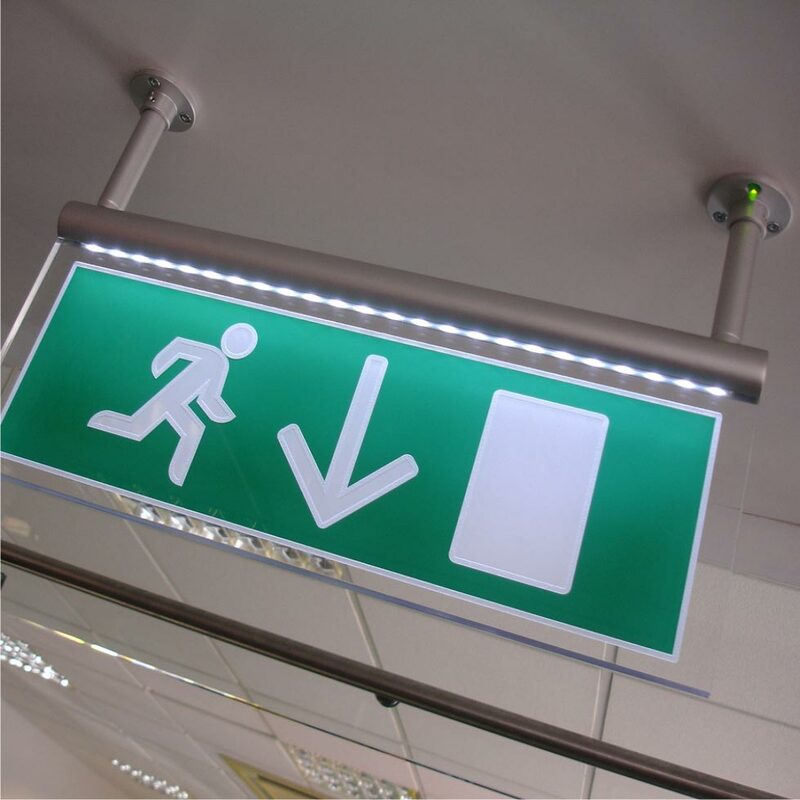 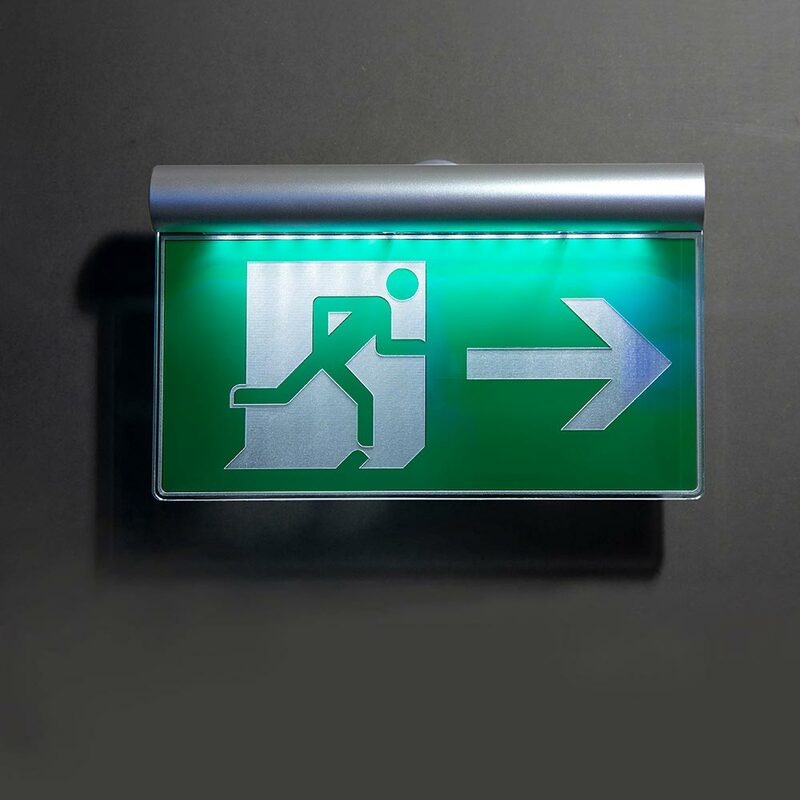 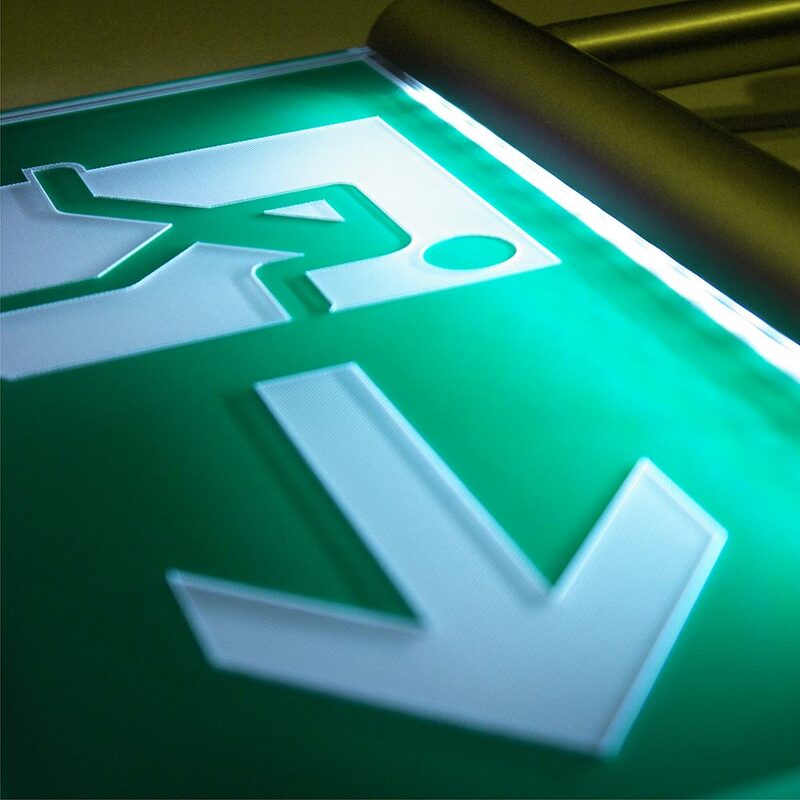 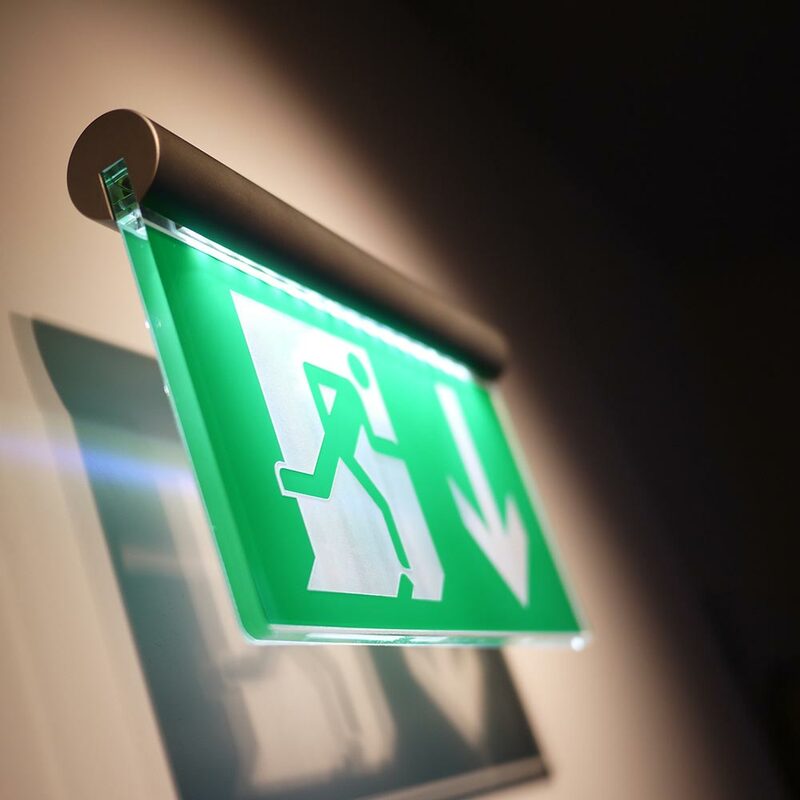 The Signkit FE LED illuminated emergency fire exit sign is available in a wall or ceiling mounted format, offering 'fit and forget' LED technology providing a long lifespan of at least 60,000 hours.